If you've been itching to get a bit of classic Teenage Fanclub on wax, you're in luck. The Scottish indie-pop heroes have just revealed plans to bring several of their classic albums back to vinyl after years of out-print-status. 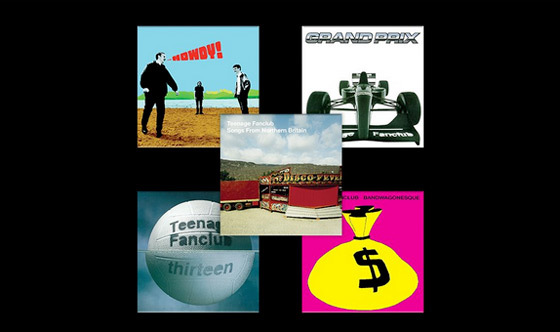 The band made the announcement today on their website, revealing that fans will be gifted with new vinyl pressings of 1991's Bandwagonesque, 1993's Thirteen, 1995's Grand Prix, 1997's Songs from Northern Britain and 2000's Howdy! All the albums have been remastered for the reissues, which present the original album art and come on 180-gram black wax. In addition to presenting the original albums on vinyl again, the reissues will each contain a bonus 7-inch featuring B-sides, previously unreleased tracks and more. The reissues are all due out August 10, and you can currently pick them all up as a bundle over here, where you can get specifics on those bonus 7-inches. Teenage Fanclub's last proper album remains 2016's Here. Teenage Fanclub Return with New Song "Everything Is Falling Apart"